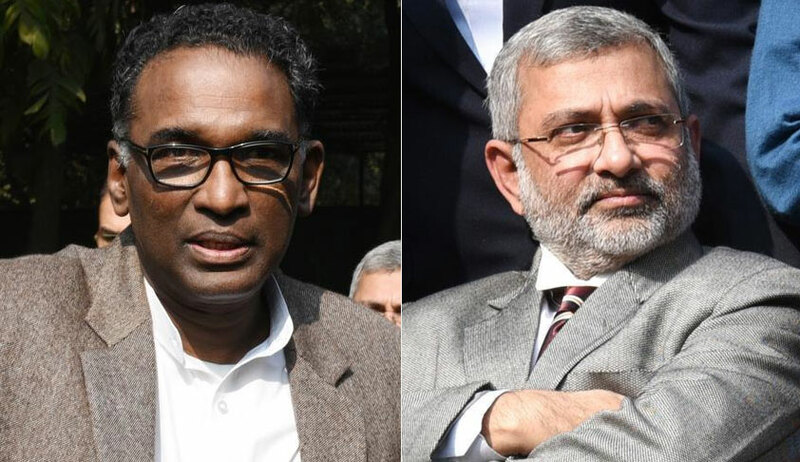 Justice J. Chelameswar and Justice Kurian Joseph- two of the five senior-most Judges of the Supreme Court- have vowed to not take up any post-retirement jobs. Justice Chelameswar had, while being interviewed by acclaimed journalist Mr. Karan Thapar at the recent Harvard Club of India event, announced that he shall not seek employment under any government. He is set to retire on 22 June. Days within this announcement, Justice Joseph has now stepped forward with a similar claim. Speaking to students of the Kerala Media Academy on 9 April, Justice Joseph reportedly emphasized on the role of the judiciary and media as the watchdogs of the democracy. He added that the watchdogs should surely sound the alarm in case of a threat to its master, i.e. the democracy, and should not hesitate to bite the trespasser in order to protect it. Both the Judges were a part of the unprecedented press conference held in January this year. Justice Chelameswar, who has been the rebel within the collegium for a while now, had addressed the press conference, flanked by Justice Ranjan Gogoi, Justice M.B. Lokur and Justice Joseph. During the conference, they had asserted that the administration of the Apex Court is "not in order", and that many "things less than desirable" have been happening in the last few months. It was further revealed that the four Judges had written a letter to the Chief Justice of India Dipak Misra as well, airing their grievances. The primary concern raised in the letter pertained to assignment of matters. While acknowledging that the CJI is the master of the roster, the letter had stated that this is "not a recognition of any superior authority, legal or factual of the Chief Justice over his colleagues". It had then asserted that while there are well-settled conventions guiding the Chief Justice in the task, off late such conventions have not been strictly adhered to. The relations between the Centre and the Supreme Court have also been at an all-time low, with the discussions on the finalization of the Memorandum of Procedure having been on a standstill for nearly two years now. With the vacancies growing, several High Courts have witnessed strikes and demonstrations demanding that the process be hastened. Justice Chelameswar had, in fact, penned another letter to the CJI recently, calling for a full court on the judicial side to discuss the matter of government interference in appointment of Judges to High Courts. Similar to Justice Joseph's narrative, Justice Chelameswar had also emphasized on the Government and the Judiciary being "mutual watchdogs" rather than "mutual admirers".